We are so thankful that these guys made the decision to be baptized in The Name of Jesus Christ. Their sins have been washed away and they have New Life in Him. Cameron wanted to get baptized because God has been so good to him. 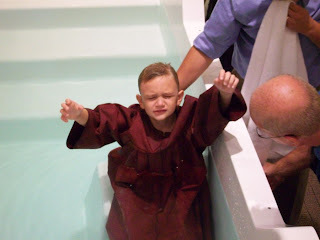 Blake got baptized because he wanted to have his sins washed away. 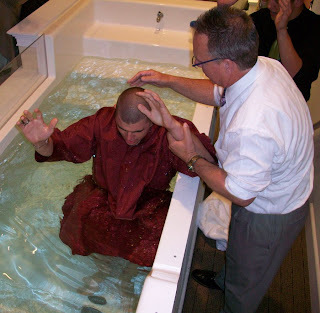 Chris wanted to get baptized because he did not want to do bad things anymore - he wanted to be forgiven of his sins. We celebrate with each of these young men as they continue to give their life to Christ. 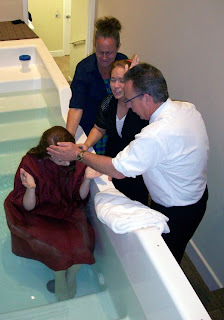 We celebrated Laura's decision to be baptized on Sunday at Heavenview. 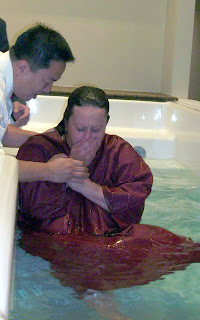 When we asked Laura what led her to being baptized, she answered, "I wanted to be baptized again now that I am older." Special thanks to Peggy and MaryAnn for helping Laura on her faith walk with Christ. We celebrated with Karen who decided to be baptized on Sunday at Heavenview. 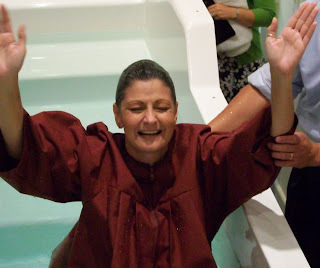 When we asked Karen what led her to being baptized, she answered, "I have been feeling in my gut that I have been needing to be baptized again. I have felt like something was holding me back, but not anymore." Special thanks to Dana Hanes and Nicola Bibb for making a lasting positive impression on Karen over the years. 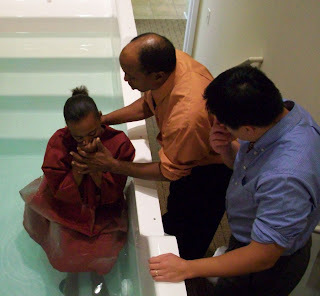 We celebrated Angela's decision to be baptized on Sunday at Heavenview. 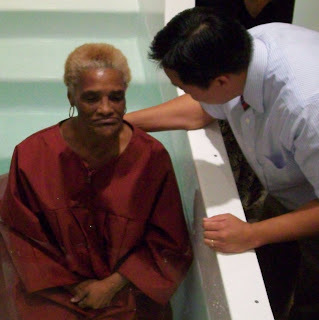 When we asked Angela what led her to being baptized, she answered, "I wanted to be cleansed and to receive the strength from God that I will need to live a better life." Special thanks to Mark Foster, Jerry Myers, Tony and Tina Everhart, Dana Hanes and Johnny and Nicola Bibb for helping Angela come to know Christ when she was young. She is a result of their prayers over the years. 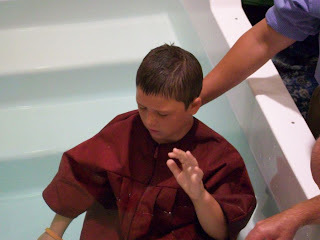 We celebrated Logan's decision to be baptized on Sunday at Heavenview. 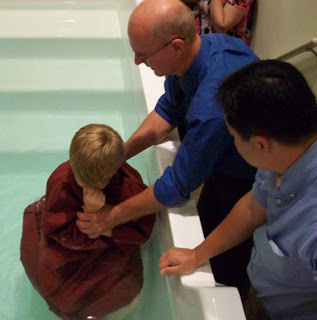 When we asked Logan what led him to being baptized, he answered, "I wanted to have my sins washed away." Special thanks to Pastor Linder, Pastor Strout and Aaron and Abbie for being spiritual leaders in Logan's life. 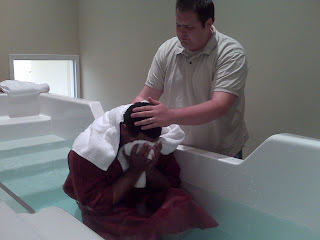 We celebrated John's decision to be baptized on Sunday at Heavenview. 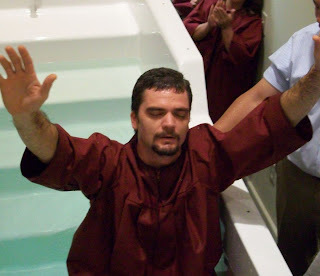 When we asked John what led him to being baptized, he answered, "I felt the call to be baptized for many years and today was the day to do it." Special thanks to Dennis Ridsen for having a positive influence on John over the years. We celebrated Elisabeth's decision to be baptized last Sunday at Heavenview. When we asked Elizabeth what led her to being baptized, she answered, "Pastor Linder's message showed me the true way to be baptized." Special thanks to Donna Zappala for making a spiritual impact on Elizabeth toward Christ. We celebrated Jacob's decision to be baptized last Sunday at Heavenview. 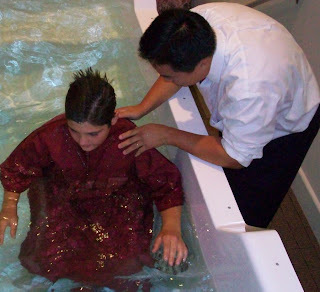 When we asked Jacob what led him to being baptized, he answered, "I knew that God wanted me to be baptized since I received the Holy Ghost." Special thanks to Jennifer Saylor and Pastor Linder for helping Jacob in his walk with God. 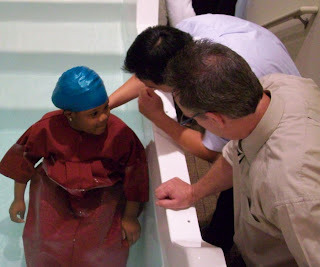 We celebrated Rahzane's decision to be baptized on Wednesday, August 12th at Heavenview. 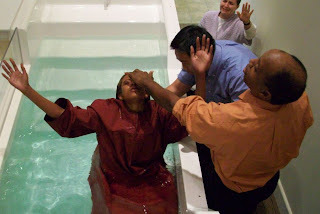 When we asked Rahzane what led her to being baptized, she answered, "I wanted to be ready to go to Heaven." Special thanks to Peggy Randall, Bria and Carla Benjamin for being godly leaders in Rahzane's life. 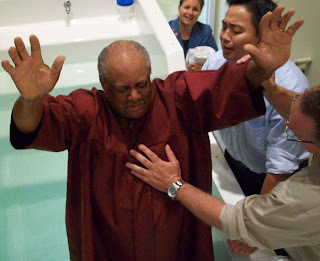 To learn more about baptisms at Heavenview, please email Christie. We celebrate Jesus' new life! When we asked Jesus what led him to being baptized, he said, "Pastor Linder's Message about being in the ark and the need to do the right thing is what led him to being baptized." We celebrate with Elisabeth today! 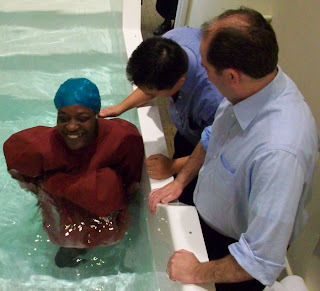 When we asked Elisabeth what led her to being baptized on Sunday, she said, "I guess, God." Elisabeth thanked Sis. Carla B. for teaching her about God in Sunday School class on Sunday mornings. 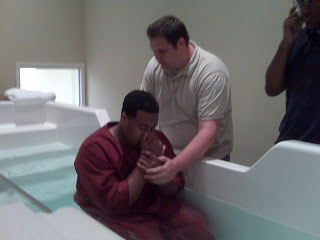 We celebrate Travon's new life in Christ! 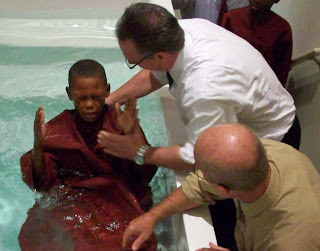 When we asked Travon what led him to be baptized on Sunday, he said, "I felt like God sent me here to be baptized." 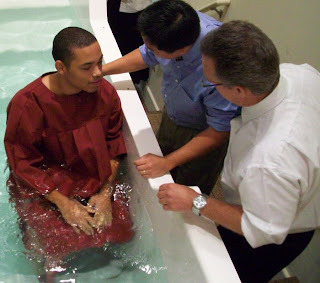 Special thanks goes to Tim and Jenn B. for helping Travon on his journey toward Christ. We celebrate Darren's new life in Christ! His Mom, Peggy and his Dad, Herman have helped him in his walk with Christ at a young age. We celebrate Shaloris' new life in Christ. 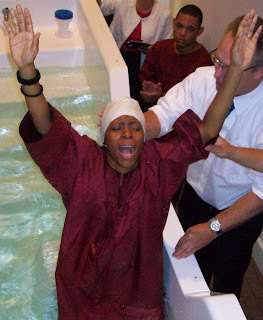 When asked what led her to being baptized, Shaloris answered, "She wanted to get her life back. She knows that God has His hand on her life." We celebrate Patrick's new life in Christ! When asked what led him to being baptized, Patrick responded with, "He has been studying the book of Acts this week and knew that Pastor Linder's message was a confirmation of what God wanted to do in his life." 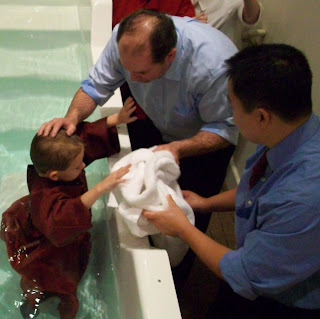 To learn more about baptisms at Heavenview, please contact Christie. We celebrate Abbie's new life in Christ today! When asked what led Abbie to being baptized, she said, "I knew it was time." Special thanks to all those who have impacted Abbie's walk with Christ in a positive way over the years. We also celebrate with Lubrey! 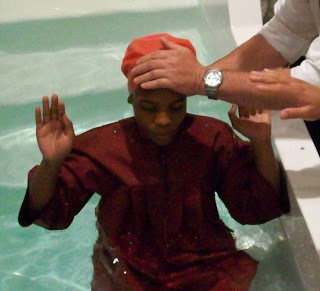 She was baptized as well. She told us that she knows that Jesus is coming soon and she wants to be ready when He comes for her. Special thanks to Bria, her big sister and Aunt Peggy and Uncle Herman for impacting Lubrey in a positive way toward a closer relationship with Jesus Christ. 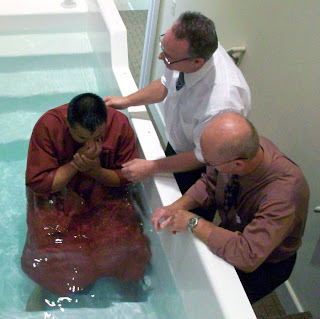 To learn more about baptisms at Heavenview, email Christie. "Praise the Lord! First, I must say thank you to my Heavenview brothers and sisters for their prayers for my dad. We serve a great awesome and mighty GOD. HE is a God of healing and He is a miracle worker. I was told that on Friday before the procedure my dad could hardly catch his breath, so his doctors decided to go ahead and move the surgery date up. The doctors went up his wrist to do the angioplasty and they were baffled by what they did not see. There was no blockage in his arteries. My dad’s heart is as good as new. “To GOD be the glory great things HE has done”, and HIS wondrous works HE is still performing. God bless you all." God "re-constructed" a heart! He made it "as good as new"
We praise God for this amazing miracle. We celebrate Manny's new life in Christ! When asked what led him to being baptized, Manny said he wanted to be obedient to the Word of God so that he can enter into Heaven one day. Special thanks to Jessica S. and Pastor Strout for having a spiritual impact on Manny's life. We celebrate Kody's new life in Christ! When asked what led him to being baptized, Kody told us he felt like he needed to be baptized because that's what the Bible says to do to have your sins washed away. Special thanks to Drew C. and Pastor Dan for helping Kody understand the importance of baptism. We celebrate James' new life in Christ! 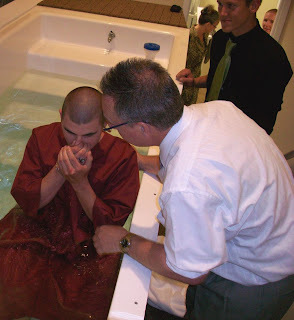 When asked what led him to being baptized, James said he wanted to baptized in the Name of Jesus Christ. He wanted a clean slate. Special thanks to Pastor Linder and Chris B. for being an excellent example to James in his faith walk toward Christ. 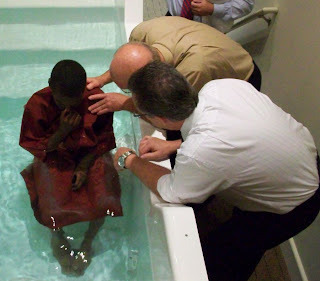 We celebrate Curtis' new life in Christ! Special thanks to Jamal for being a great friend to Curtis and for helping him on his faith journey. SIX individuals made the decision to be baptized at Heavenview on Father's Day after hearing the message from Senior Pastor, Rev. Harold D. Linder, "The Father Keeps His Promises". 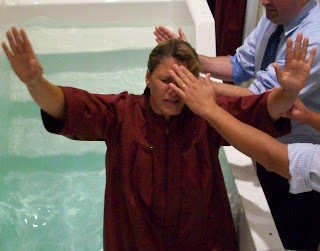 Danielle was baptized on Sunday because she believed it was time for a new beginning. Danielle also received the infilling of the Holy Spirit. 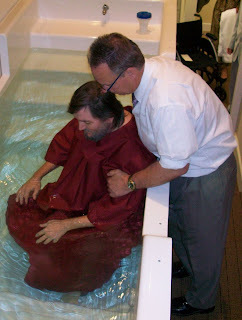 Dustin felt like the Holy Spirit led him to be baptized on Sunday. Dustin is in Bible College in Florida and wants to be used by God to minister to others. 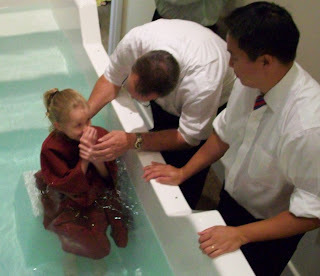 Sarah was baptized on Sunday because she wanted to feel clean inside. 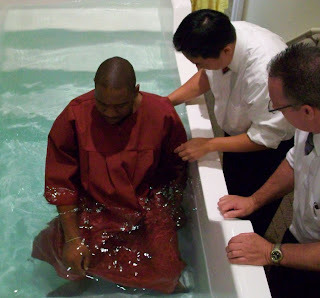 We believe that when you are baptized, your sins are washed away as far as the east is from the west and you have a clean slate. 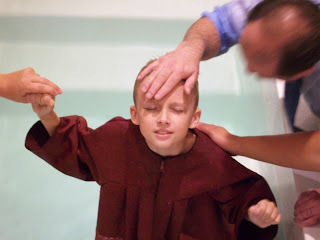 Austin wanted to be baptized in the Name of Jesus. 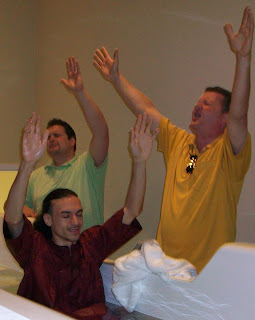 He also received the infilling of the Holy Spirit on Sunday! 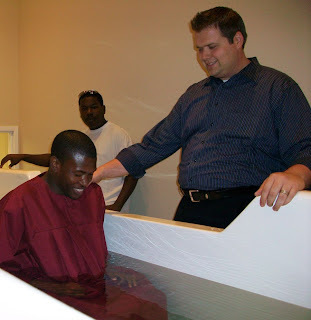 Bryant was baptized because he wanted to change and walk more closely to Christ. He felt like this was his next step in becoming a true follower of Christ. 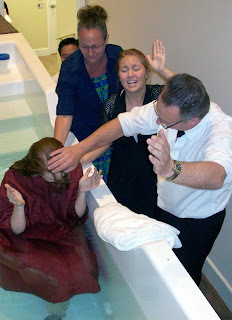 Sarah felt like she was moved by God to be baptized on Sunday. 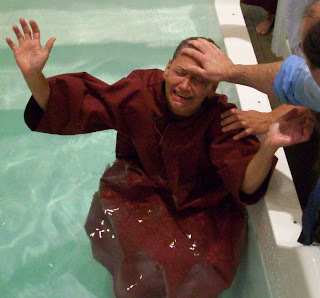 She felt like she really understood for the first time the importance of being baptized in the Name of Jesus. 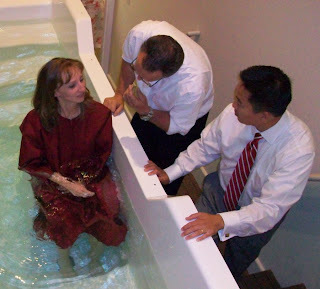 If you are interested in learning more about baptisms at Heavenview, please contact Christie. We celebrate with Elaine who made the decision to be baptized on Sunday! We thank Nina for being a friend to Elaine and walking with her on her journey toward Christ. We celebrate Andrew's baptism today! Dustin has played a role in Andrew choosing to follow Christ. Thanks Dustin for making an incredible impact on Andrew. We also celebrate with William today. 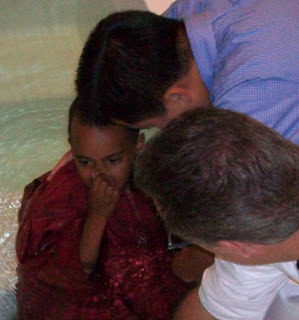 When we asked William why he chose to baptized, he said, "because he wanted to have his sins washed away." April played a role in William's baptism today. Thanks April for impacting William's life toward Christ. 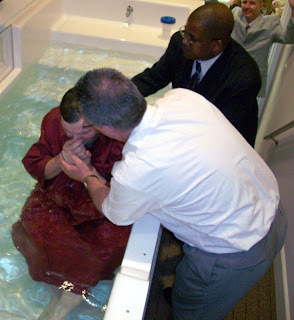 When Sarah was asked what led her to being baptized, she said, "I feel the need to get closer to God. I need to wash away my sins and renew my journey with Him." We celebrate Sarah's journey with Christ! We celebrate TODAY with Omar! 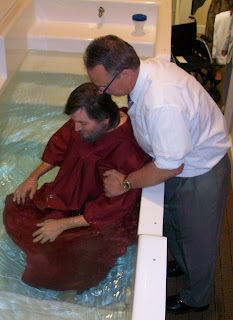 He decided to give his life to Christ and to be buried with Him through baptism. Omar walks in a new life today. We thank God for this amazing miracle in Omar's life. 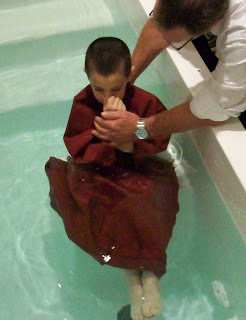 For more information on baptisms at Heavenview, please contact Christie. We recently had our Annual Youth Convention for the State of North Carolina at Heavenview in Winston-Salem. We had over over 400 young people in attendance! An incredible move of God was experienced by all. We are grateful that we can offer our facilities to meet the needs of the youth of our great state.